Ultima VII: Forge of Virtue is an expansion pack for Ultima VII: The Black Gate. It adds a new location (the Isle of Fire) along with an associated quest and opportunities for the Avatar and his party to gain powerful weapons and more experience. It also includes many bug fixes for the disk versions of The Black Gate. 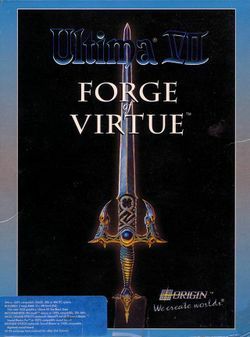 Later releases of The Black Gate include Forge of Virtue. This page was last edited on 8 August 2011, at 00:34.